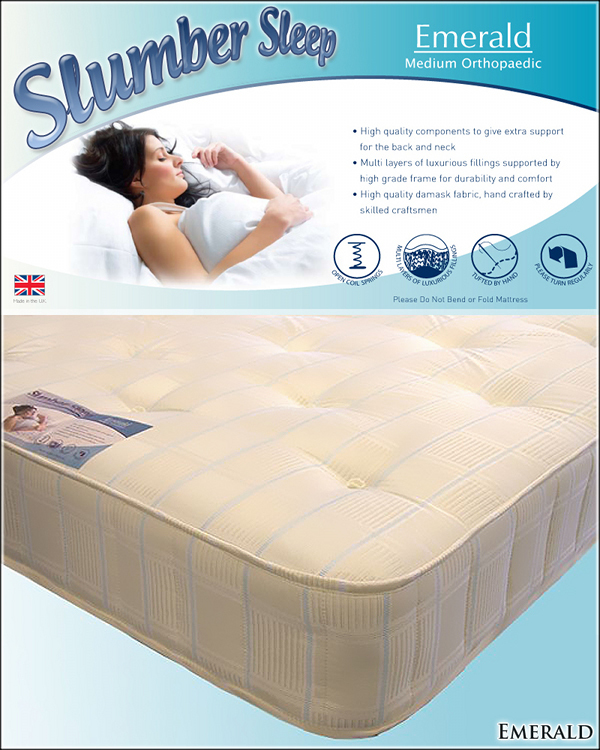 Slumber Sleep Emerald Medium Orthopaedic Mattress. The Emerald is manufactured in the UK to the highest of standards using premium open coil orthopaedic springs. Its high quality components give extra support for the neck and back and a 12.5 high gauge frame offer real durability and comfort. 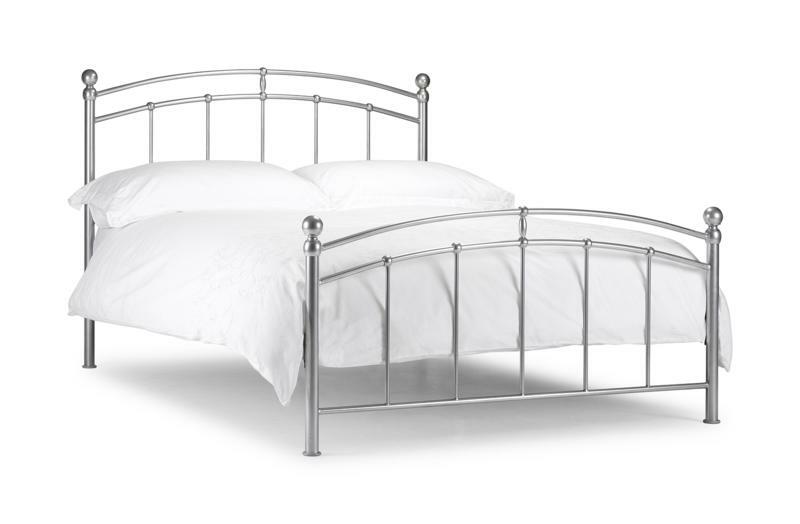 The mattress is finished in a high quality damask fabric and the decorative buttoned covering keeps the luxurious fillings in place and helps to strengthen the mattress. o Hand crafted by skilled craftsmen. 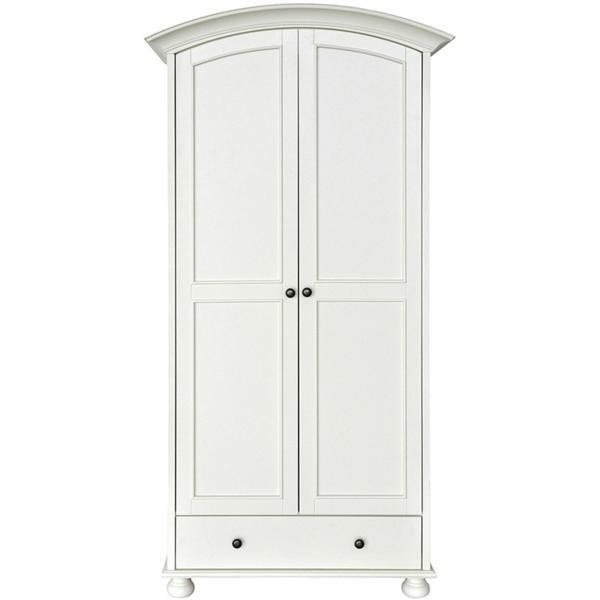 o Manufactured in the UK passing all fire safety standards. o Occasional turning required. o Mattress Thickness: 9 inches (approximate).